Rabies is likely the most widely-known animal disease in the world. But thankfully, on World Rabies Day each year, we are reminded that it is also one of the most preventable. This annual day of awareness was launched in 2007 to help educate people about the dangers of rabies in North America and around the globe. This year’s World Rabies Day theme is “Let’s #EndRabiesTogether.” Mark this year’s World Rabies Day, September 28, 2015, by making sure your pets are up-to-date on their rabies vaccinations — and encourage friends and family to do the same for their pets. The effects of rabies can be tragic. In the United States and much of the Western world, rabies is thankfully quite rare; an average of 1 to 2 Americans die annually from exposure to disease. But worldwide, rabies kills more than 55,000 people each year, according to the American Veterinary Medical Association (AVMA), making education and pet vaccinations against the disease key to eliminating rabies infections in afflicted regions. On a global scale, many rabies deaths in humans are transmitted through dog bites. More than 100 different countries report that many of the thousands of people who die from rabies infections are children who were bitten by infected dogs. In a recent statement released in tandem by the Food and Agriculture Organization of the United Nations (FAO), the World Organisation for Animal Health (OIE), and the World Health Organization (WHO), it is estimated that by vaccinating at least 70 percent of a country’s dog population, the cycle of transmission from dogs to humans can be broken, saving the lives of humans and dogs alike. Rabies-infected livestock can also wipe out full herds, leading to food insecurity in already impoverished regions. This makes rabies education and vaccination programs an important public health issue in places like Africa, Asia, and South America, where rabies deaths in humans are still far too common. Here in the U.S., veterinarians are taking advantage of World Rabies Day to educate pet owners about rabies symptoms and the importance of keeping one’s pets current on vaccinations against the deadly disease. The symptoms of rabies in dogs are easy to spot and usually occur in two painful stages. The first is typified by a stark change in temperament. Dogs become restless, bite at themselves or at imaginary objects. They can be apprehensive, insecure, and even experience pain insensitivity. The second is called the paralytic stage. The dog stops eating and drinking, and their mouth tends to droop open, dripping with foamy saliva. As dehydration takes over, total paralysis starts to set in, and the animal is close to death. Sadly, there is no treatment or cure for rabies. Dogs should receive their first rabies vaccination when they are 3 to 4 months of age as recommended by their veterinarian and then continue to receive yearly booster vaccinations throughout the rest of their life. Some cat owners neglect to take their cats to the vet for their yearly rabies vaccine. But even so-called “indoor cats” can get loose or become exposed to the deadly disease by coming into contact with infected wildlife. All cats, just like dogs, should receive their first rabies vaccination from a licensed veterinarian when they are around 4 months of age and cat owners should always make sure their feline friends get yearly inoculations for full protection against this horrible but overwhelmingly preventable disease. But rabies infection isn’t limited to dogs, cats, and humans. Wild animals, most commonly bats and raccoons, can carry the disease, too — which means they can spread it to humans and unvaccinated pets. People should limit their interaction with wildlife and report any suspected cases of rabies to their local animal control as soon as possible. 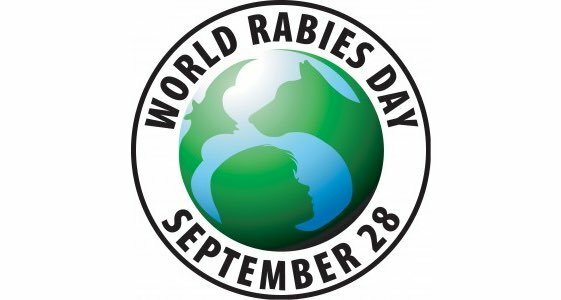 For more information about the rabies virus, global rabies eradication campaigns, or to find out how you can participate in World Rabies Day 2015, visit the Global Alliance for Rabies Control website today.